The Gathering Place is proud to partner with Mother's Milk Bank of North Texas as a local "milk depot" or collection site to serve as a local resource for women interested in donating their excess milk to babies whose mothers are otherwise unable. Operating throughout the United States, depots support women by storing milk and processing shipments to the Mothers’ Milk Bank for testing, pasteurization and safe distribution to needy infants. Local nursing mothers wishing to donate excess milk can contact the Mother's Milk Bank of North Texas. Volunteer milk donors will complete a screening process similar to that for blood donors including a blood test. Accepted donors will collect and freeze their milk at home and then bring donations to the center for shipping. At the milk bank, the donated milk is pooled and pasteurized before distribution by prescription to ill and premature infants throughout the region. Donor milk is nutritionally analyzed, gently pasturized and tested for bacteria to ensure it's safety for fragile infants. WHAT IS THE PROCESS OF BEING A DONOR? Donor mothers are screened for health history and medication use. A blood test screens for HIV, HTLV, hepatitis B & C, and syphilis. Any positive blood test makes a woman ineligible to donate milk. The Mothers’ Milk Bank of North Texas will cover the cost of blood screenings for donor mothers. What happens to donor milk? Approximately 380,000 babies are born prematurely in the United States each year. These babies are behind in their growth and development, putting them at risk for significant complications. For these fragile infants, breastmilk can make a world of difference. Its nutrients and immunological properties can protect against conditions such as necrotizing enterocolitis (NEC), a severe intestinal infection. Mothers of premature infants often struggle to produce adequate breastmilk due to stress, their own medical conditions or a number of other factors. Donor human milk ensures that their babies receive optimal nutrition and protection, a welcome gift during this stressful time. Each year, more hospitals provide donor milk to the babies in their NICUs. Because of this, the demand for both milk and milk donors continues to increase. Those who choose to donate to a nonprofit HMBANA-affiliated milk bank are assured their donations will benefit the most vulnerable infants in our population. 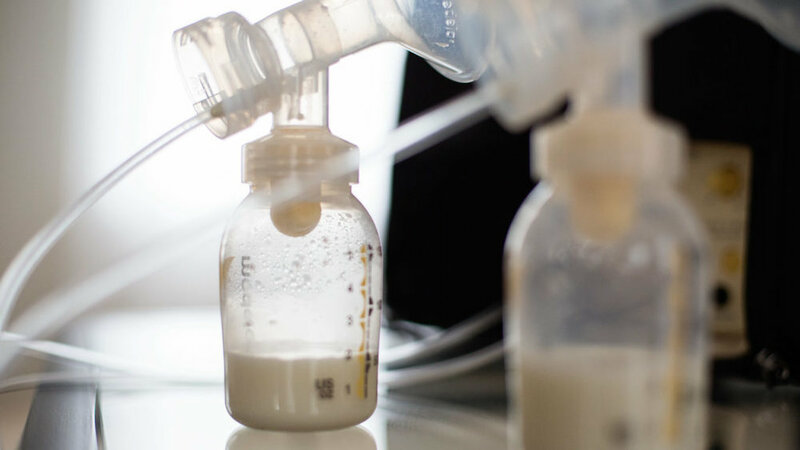 These milk banks, such as Mothers' Milk Bank of North Texas, do not financially profit from donor milk, and the milk is often life-saving for infants recovering from serious complications or surgeries. We will keep donated milk in the freezer at the center and ship it in batches on dry ice to the Mothers’ Milk Bank of North Texas. The Mothers’ Milk Bank pools and pasteurizes the milk before packaging it and distribution throughout the region.Why donor milk? Human milk is the normal food for human babies. For premature or ill babies, access to human milk may help them grow and develop better than they would using artificial milk. Read more about the value of human milk on the Mothers’ Milk Bank website. No routine use of medications during the time she is collecting donor milk, except for: vitamins and minerals, food supplements, progestin-only birth control, or replacement hormones: thyroid, insulin. Limited use of caffeine and alcohol. Willing to donate at least 150 ounces during the total time she is a donor. Medical release forms signed by mother’s and baby’s doctors. For information on becoming a milk donor, please contact donor coordinators Beth Weber & Ashley Pearson at 817.810.0071. *The Mothers’ Milk Bank or North Texas is a member of the Human Milk Banking Association of North America, a non-profit organization of human milk banks dedicated to establishing and setting the standards for human milk banking.